835 meters over the mean see level in the heart of the Thuringian Forrest in the middle of germany there is the city Neuhaus am Rennweg. 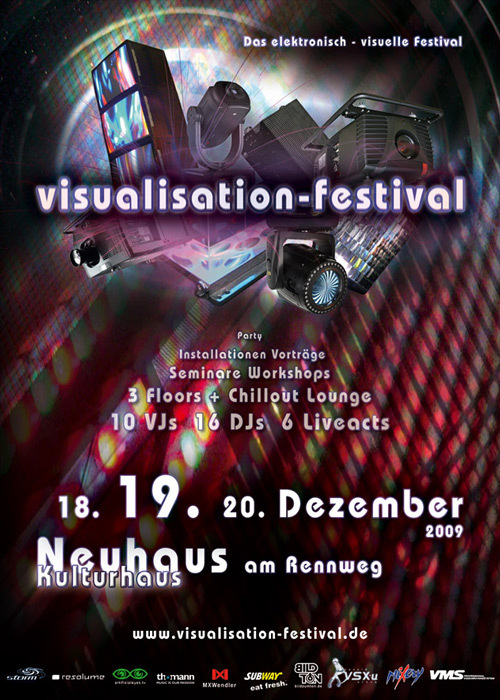 The hothouse „Kulturhaus“ in the city of Neuhaus am Rennweg has a lot of room for the participants. For lectures and workshops the main hall and several further rooms are available. During the evening event the main hall changes to the main floor. Two more elaborate decorated floors give the choice to a variety of music styles. The Lounge invites for linger- a good opportunity for forging links. All rooms will be well decked out for this special event. For all those, who want relaxed at the festival there is the Hotel "Am Rennsteig". 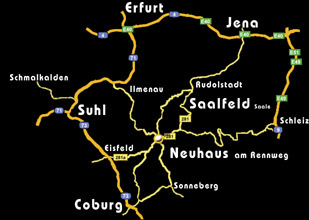 More hotels or pensions you can find here www.neuhaus-am-rennweg.de.